"Animism and Totemism, which are fundamental beliefs of all First Nation People, have on artistic expression." The short story on animism and totemism is that objects and animals have spirits/souls (animism) and that families/clans share a specific animal/spirit connection (totemism). The English word 'totem' is believed to come from the Ojibway 'dodayim'. Here's the Wikipedia index page on "Native American Culture". If you're not familiar with it, Wikipedia is a free, user-generated online encyclopedia; so, if you see something on it that is wrong, or deficient, then join up and make it right!!! I had heard the name Kinnie Starr (Mohawk) on CBC radio some time ago and ran across an interview with her while surfing. Some of her music is available for streaming at her site. A juggernaut that Toronto's NOW magazine described as rich with "visceral rhymes, napalm delivery, spoken word montages and eagle-eyed surveillance of the three S's --- sexuality, spirituality and society. " And... her myspace page (more music). CN rail says that their nasty little oil and chemical spill in Wabamun Lake (August 2005) is now cleaned up, but the local Paul First Nation disagrees. "It was not until four days after the derailment that CN revealed that a "hazardous chemical" had spilled into the lake in addition to the bunker C fuel oil. Residents were told to stop cleaning wildlife and to completely avoid all lake water and well water, even for watering gardens and lawns. The 70,000 litres of Imperial Pole Treating Oil that had escaped from a ruptured, derailed tank car contained naphthalene and other polycyclic aromatic hydrocarbons listed as "highly toxic" and suspected of being carcinogens." "human rights complaints against band councils or the federal government." Now; why would someone complain about gaining the right to file a complaint against a government, you ask? The cynic in me might say that First Nation governments have been insulated from a level of oversight available to other Canadians and the Feds hope that a fog of complaints and infighting will mire First Nation governments in a way that keeps them out of their hair until the next election. That's a pretty Machiavellian thought, even for the Conservatives. But; at least the federal government will also be made accountable to the people, on-rez, through an additional channel that has been denied them. 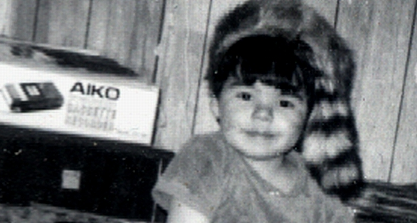 There will be no inquest in the Max Kakegamic murder in Kenora (October 4, 2000). Under still-murky circumstances, the investigation was derailed by 'questionable' behaviour of the local police. CanAlaska Uranium Ltd. (mining company) is exploring for uranium in Northern Saskatchewan on the land of the Black Lake Denesuline First Nation. The band will receive shares and payment for their mineral rights.
" North American Charters (NAC) was created to transform airline service to First Nation communities in our region. Combating high ticket prices and limited flight service was our first priority... lowered airfares by 40-50%... also made air travel accessible by introducing high frequency, 7 days a week flights... consumer response was immediate as residents of First Nation communities and larger regional centres made NAC their first choice for air travel." Native American/First Nation resource page; American-Indians-R-Real. I know, I know; the title is a little hokey, but there's useful stuff there. Another resource page at dickshovel.com. What!!? What's up with that name? Explanation, here. The National Film Board (of Canada) rocks.